The fee will be accepted only after receiving the positive appreciation from the reviewers. 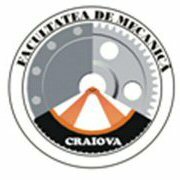 Only the presented papers will be published in Applied Mechanics and Materials journal. The first author of the accepted papers must pay the conference registration fee by 1st of October 2019. Conference fee: 125 euro, or 75 euro for the second paper of the same author, (as main author) - so if it is the case, 200 euro for two papers with the same main author. for each first author we accept maximum 2 papers.